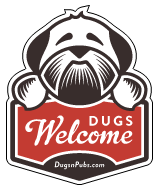 We love dogs, our staff mostly own dogs and are happy to allow them in the bar lounge area. Treats available behind the bar and water bowls too. There are a total of 2 dog friendly listings in the Surrey category. Please log in, or sign up as a member to view all listings.